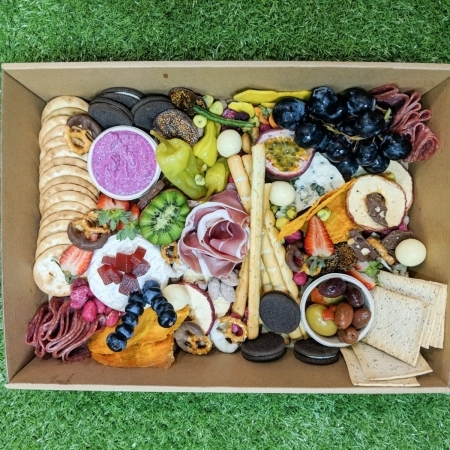 We hand-pick a mix of premium, seasonal and gourmet foods for your special box. 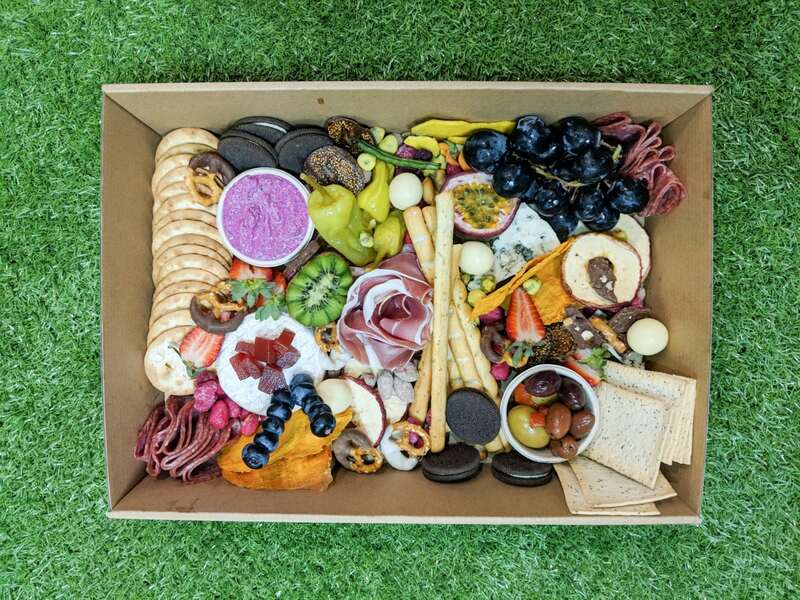 Our boxes are #FoodGoals, expertly styled by our in-house stylist who knows it’s all about the Instagram shot. 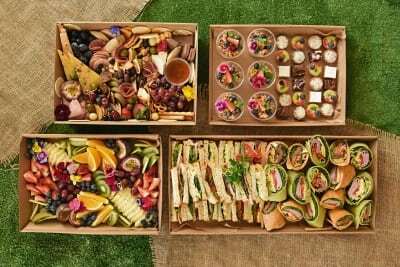 Our grazing is so fresh, that we vary the menu based on seasonal availability, giving you unique, amazing food experiences. 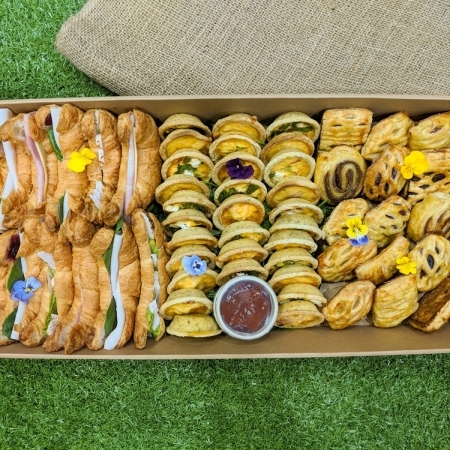 Ordering grazing boxes for My Alter Ego takes the stress out of your next event. We deliver to your door 7 days a week. 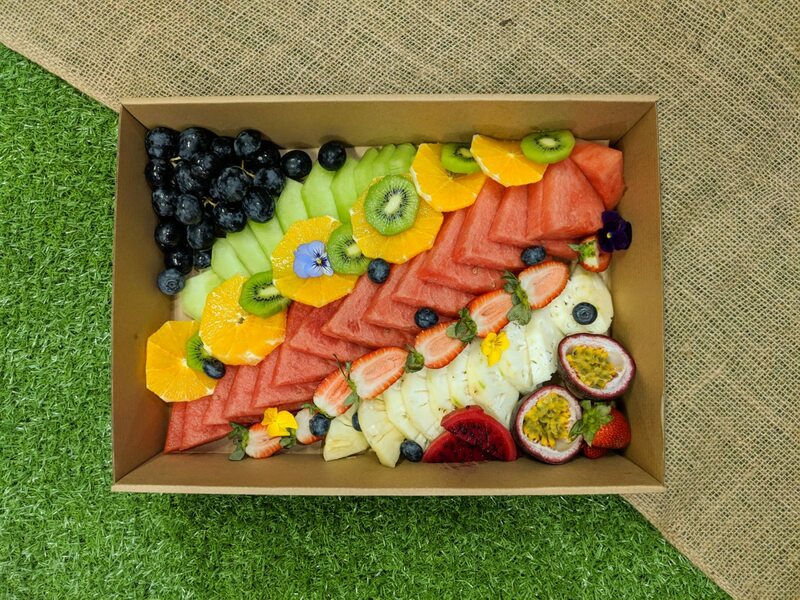 Our food is fresh, handled and prepared by professionals and tastes amazing! 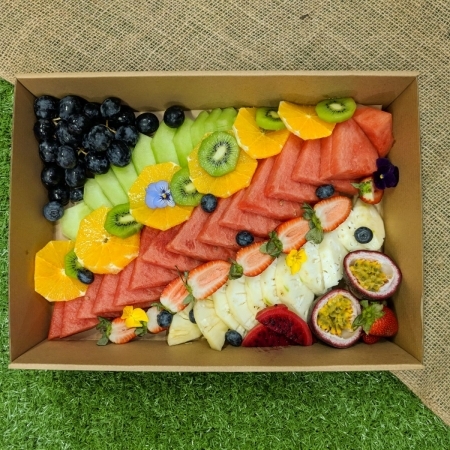 We locally source many of our products and use biodegradable packaging where ever possible. Just like our 50 Shades box but recommended for 14-16ppl. 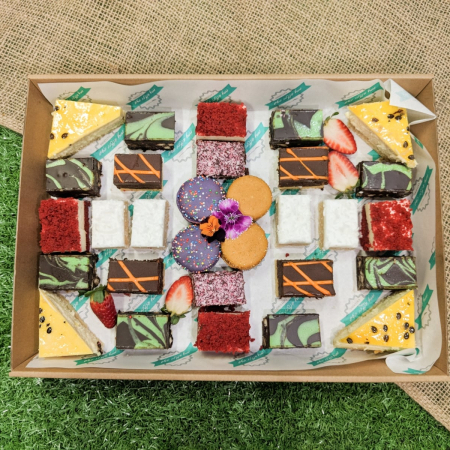 Our signature box. Where it all began! 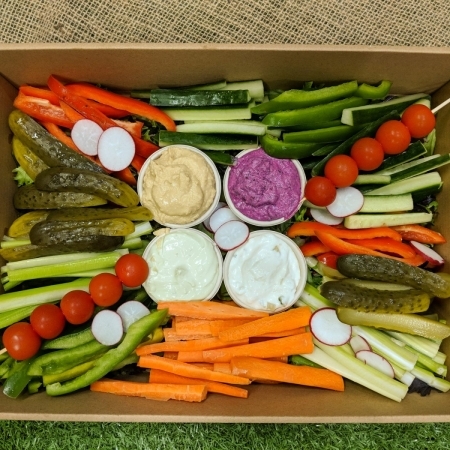 A selection of locally sourced fresh produce, cheeses, crackers, dips and some sweet treats. A perfect accompaniment for 6-8ppl. 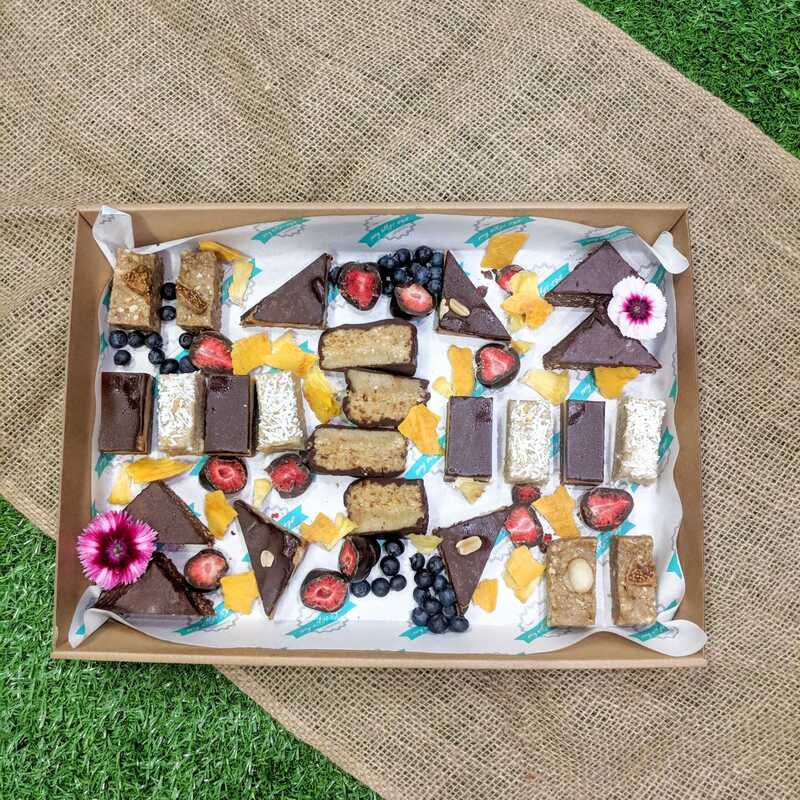 Our Signature Grazing box turned vegan. 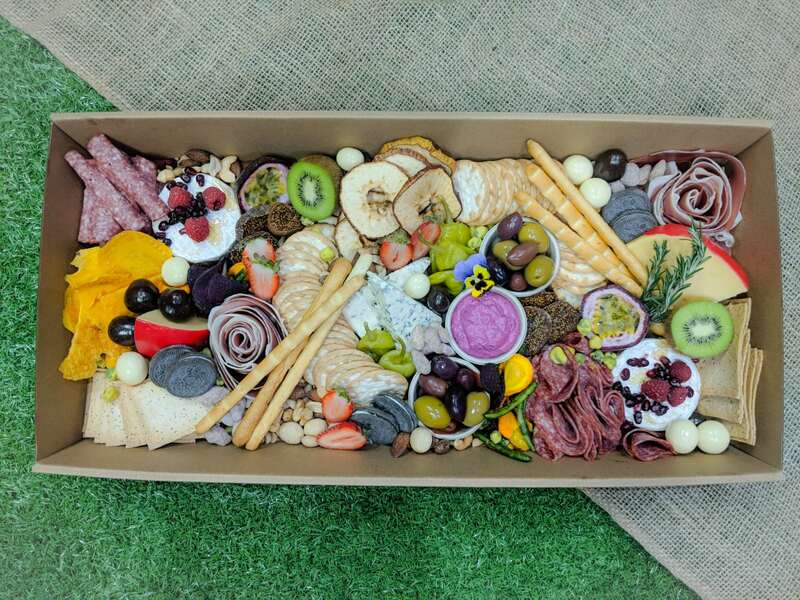 Packed with Delicious soy based cheeses, whole grain based roast with herbs and spices, dried fruits, nuts and more surprising goodies! 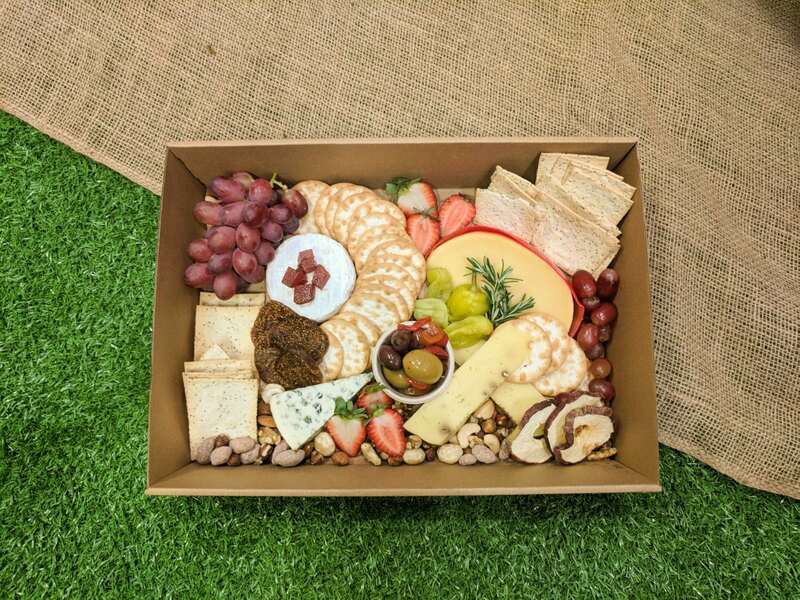 Our Signature Cheese Platter for those with a love of cheese. 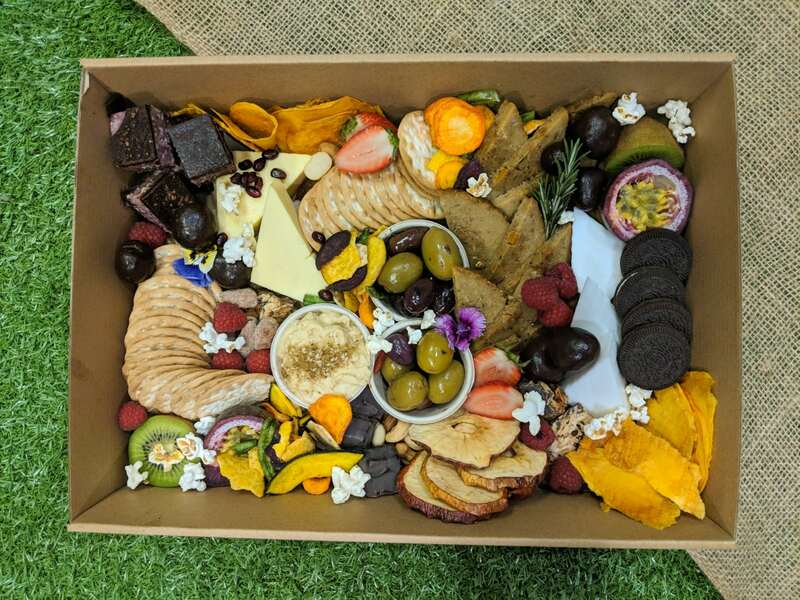 4 cheeses, house guava pasta, dried fruit, crackers, olives, grapes. A perfect accompaniment for 6-8ppl. Brunching with friends? This is the box for you! 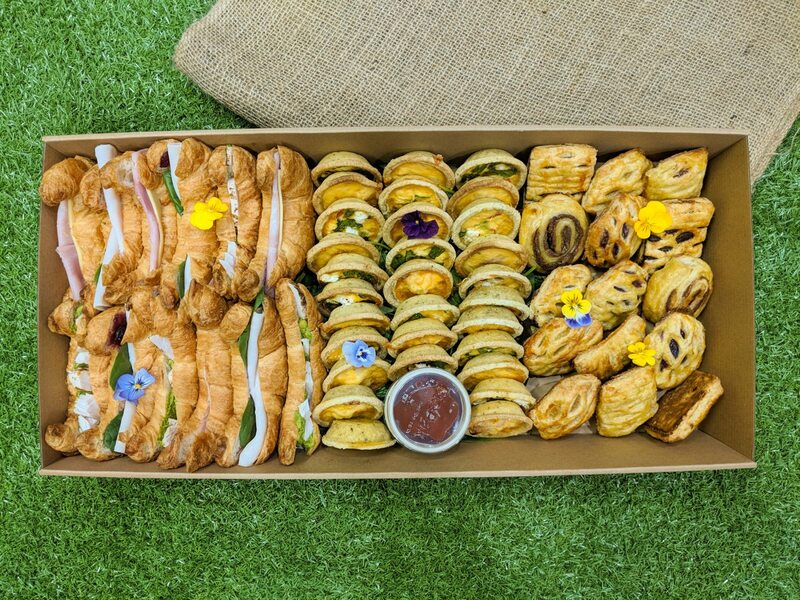 A section of croissants, Danishes and petite quiches. Recommended for 10-12ppl. 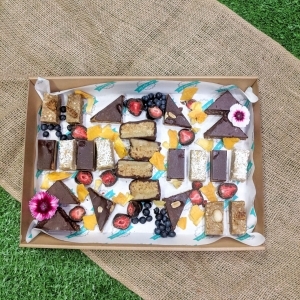 Delicious and guilt free. 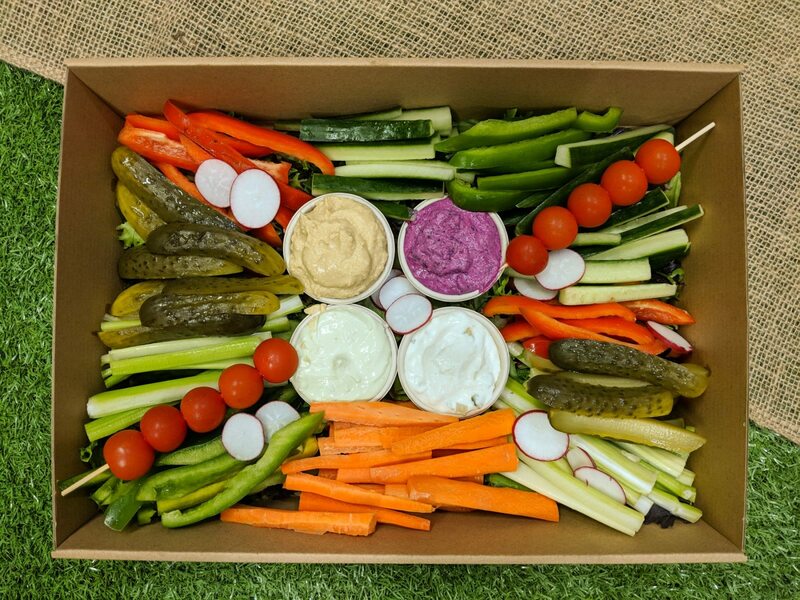 A selection of seasonal vegetable crudités and house dips. Recommended for 6-8ppl. 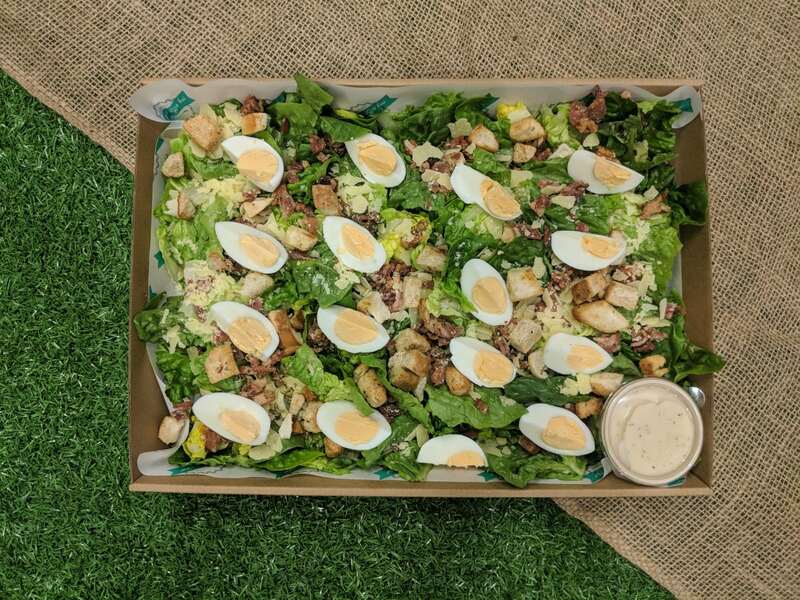 Hail to our legendary Caesar salad! 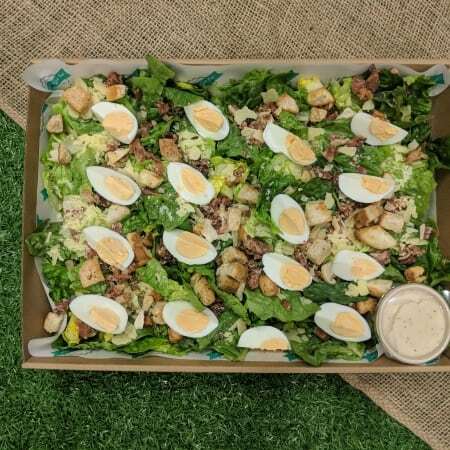 Fresh cos lettuce, bacon crisps, egg, crunchy croutons, anchovies and finished with our creamy Caesar dressing and shaved Parmesan cheese. Serves 8-10 ppl. 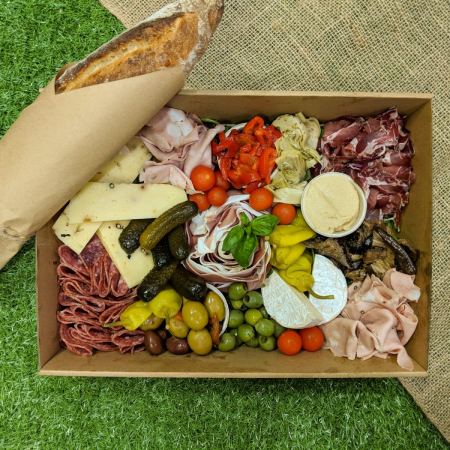 An antipasto lover’s dream! 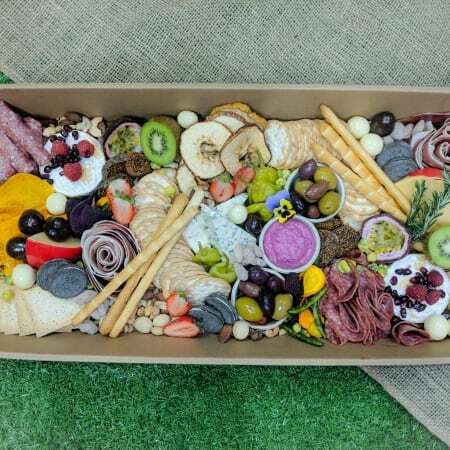 Packed full of Italian and Spanish cured meats, jerky, olives, bocconcini, crackers, dip, pickles, sun-dried tomatoes, dried fruits and a French style baguette. Recommended for 6-8ppl. The only sugar daddy you’ll tell your friends about. 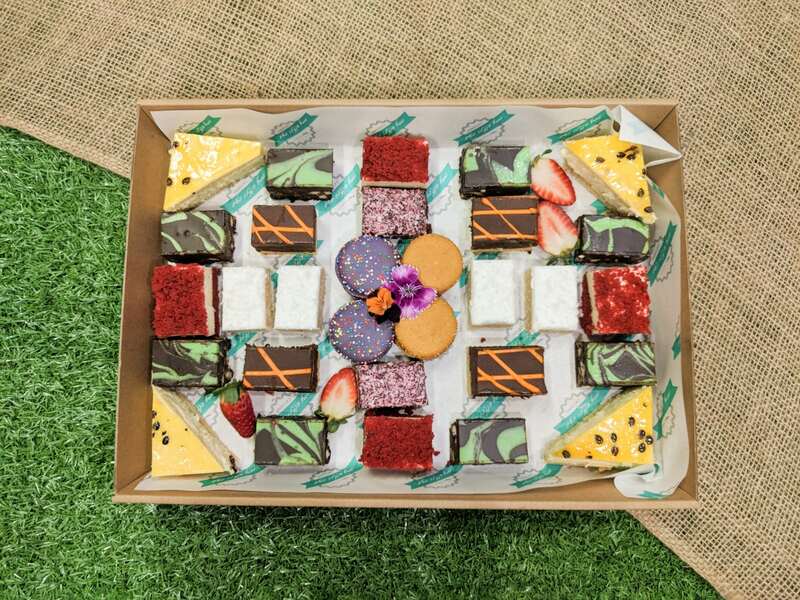 This bad boy has an assortment of sweets, lollies, chocolate and cakes that will make any mouth water. Recommended for 8-10ppl. 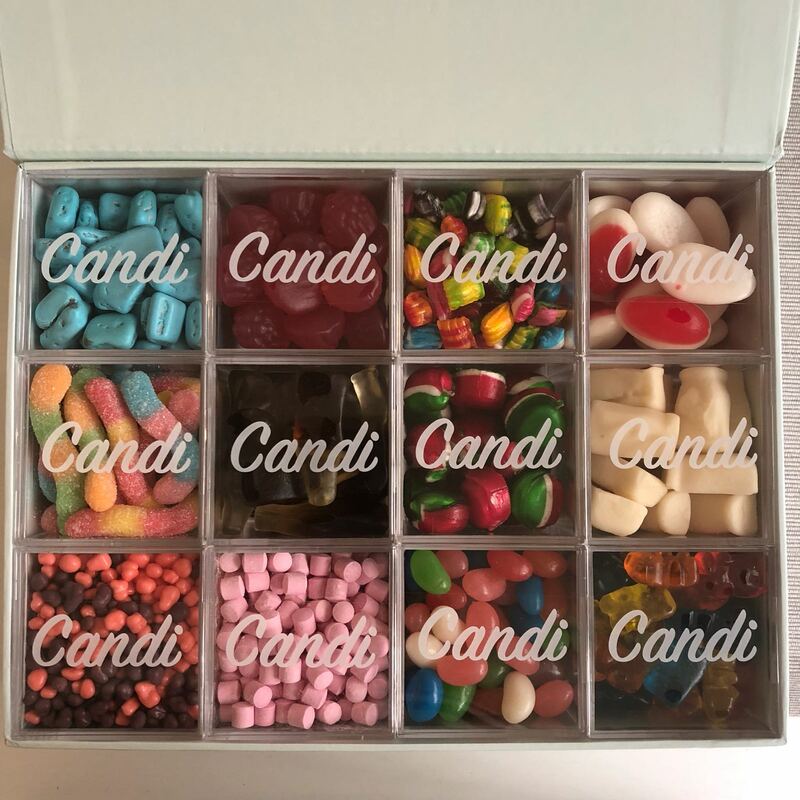 A box full of bite sized treats for you to enjoy. 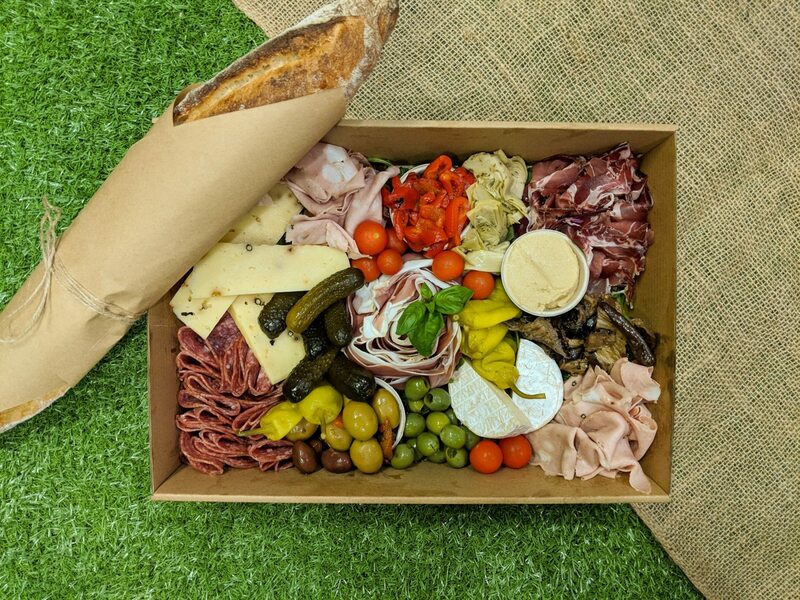 A box to feed a hungry bunch. 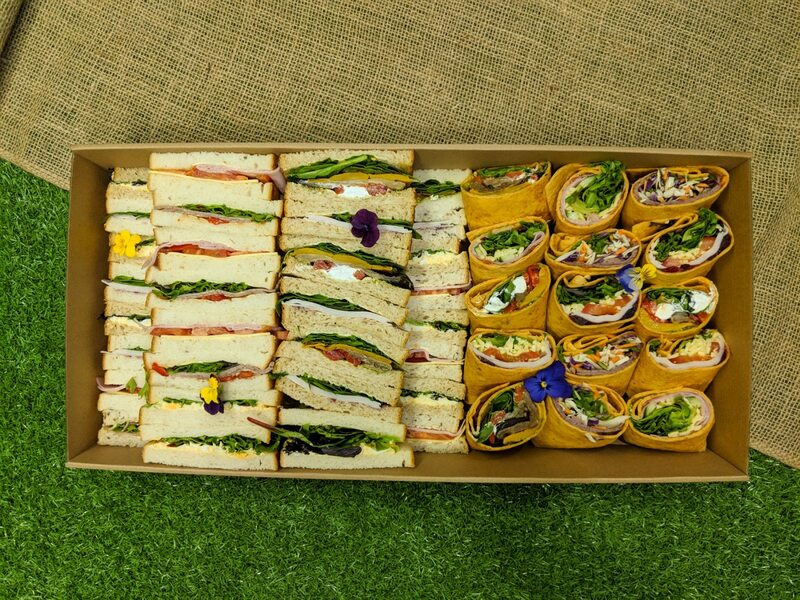 Gourmet wraps and ribbon sandwiches. Ideal for 10-12ppl. 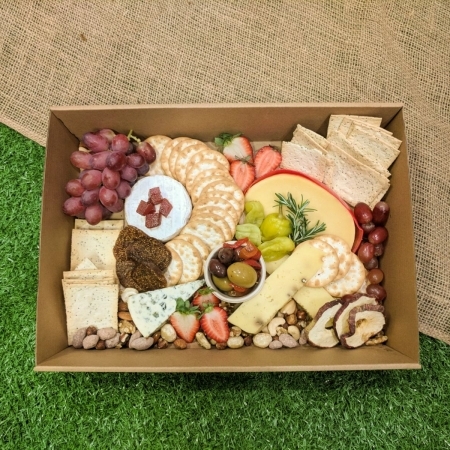 Want $10 off your Grazing Box? Subscribe now! 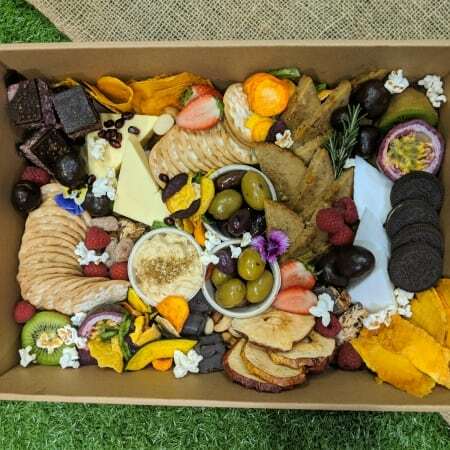 My Alter Ego has been providing professional catering services to Brisbane since 2012. 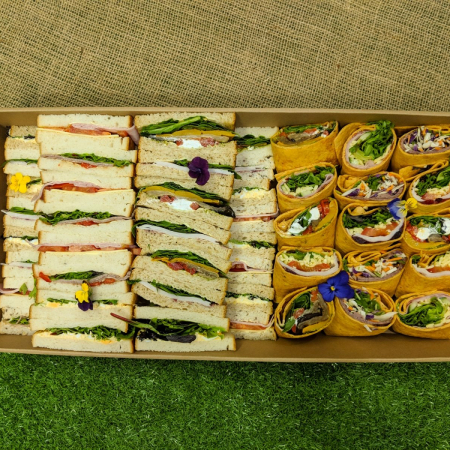 With a team of over 20 staff we can cater anything from social events, small office lunches or full blown conferences.